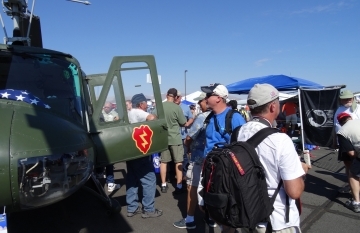 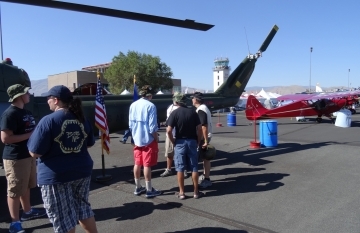 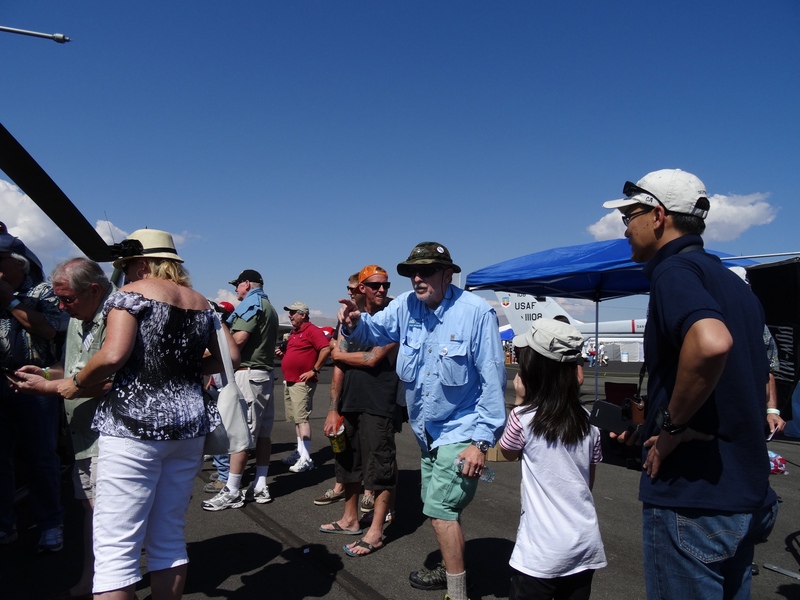 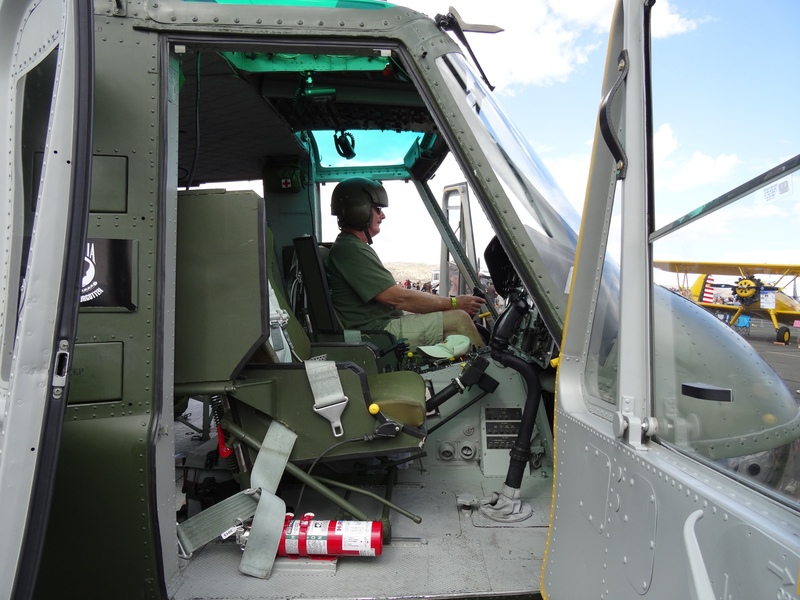 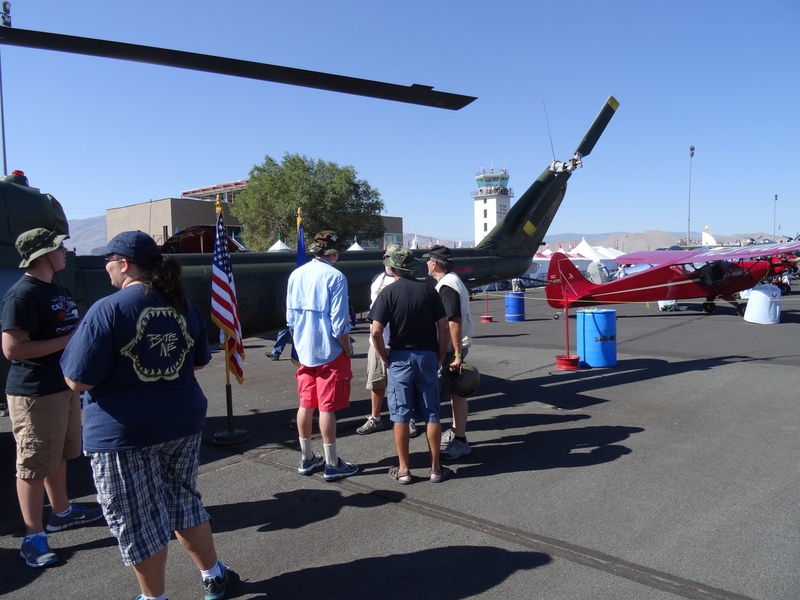 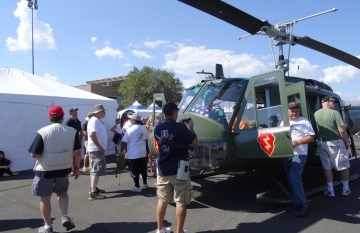 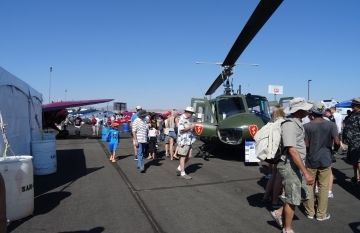 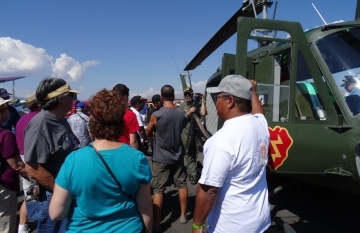 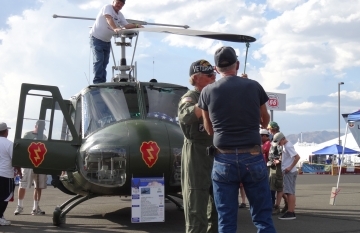 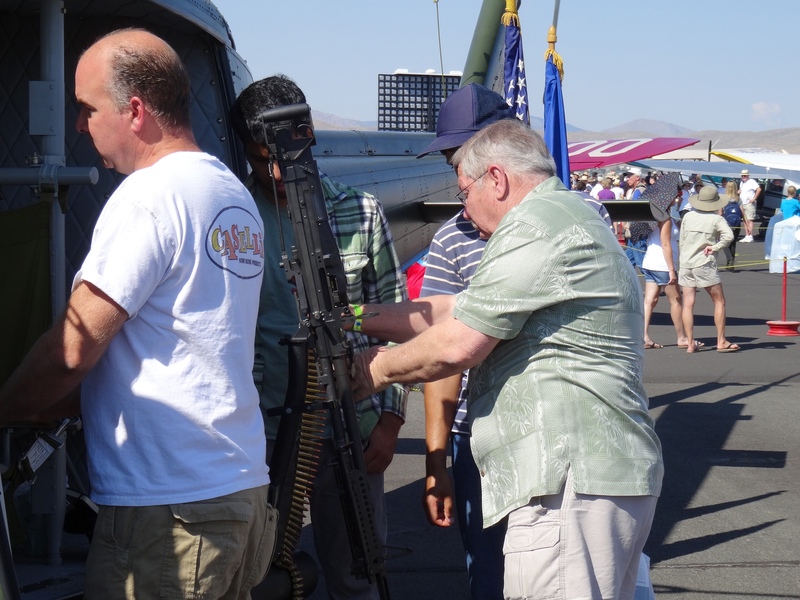 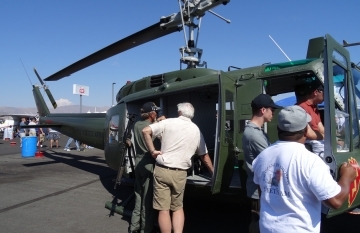 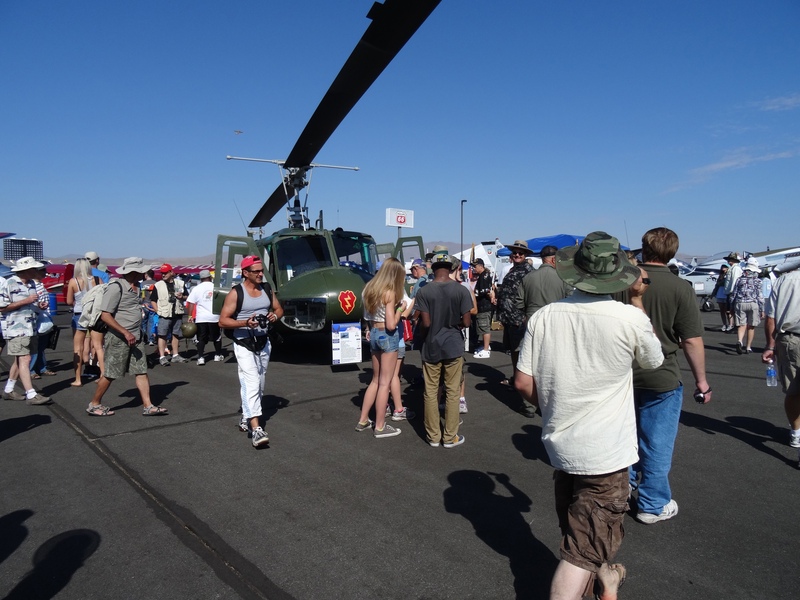 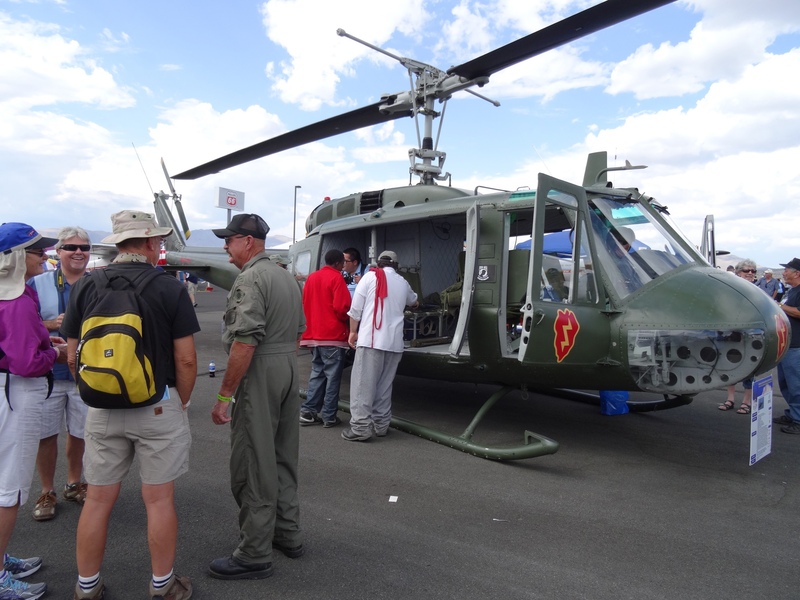 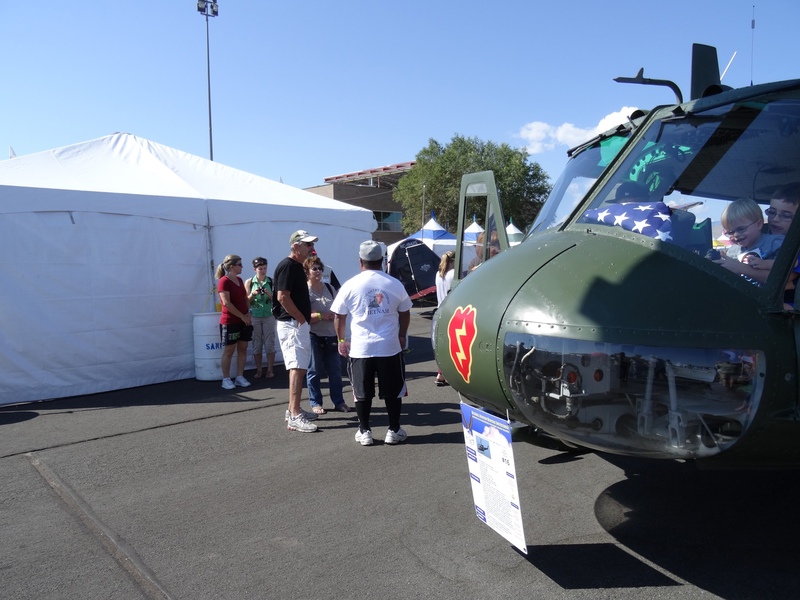 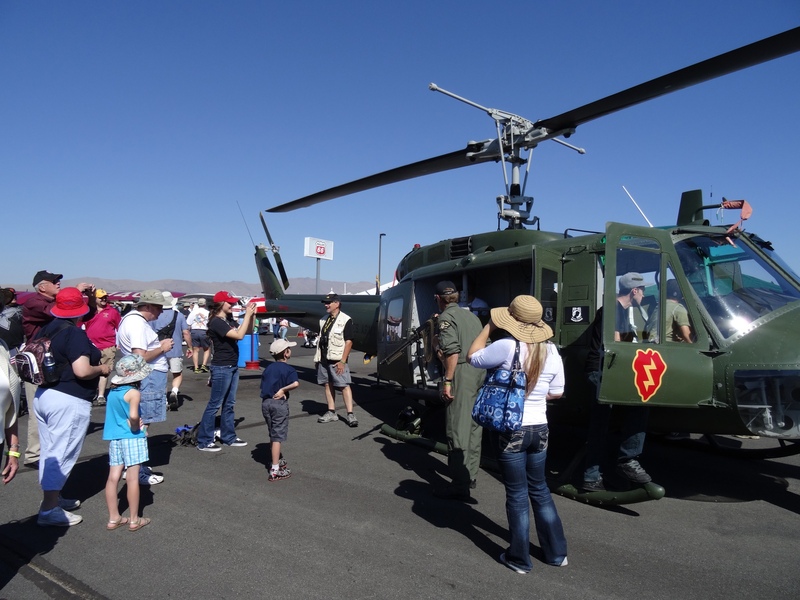 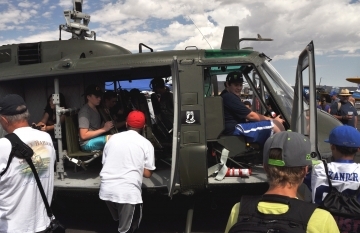 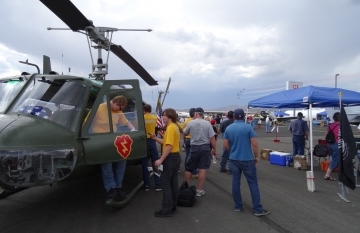 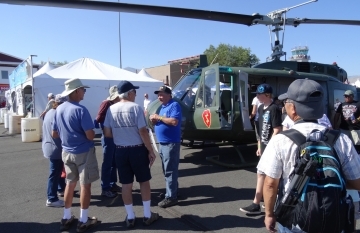 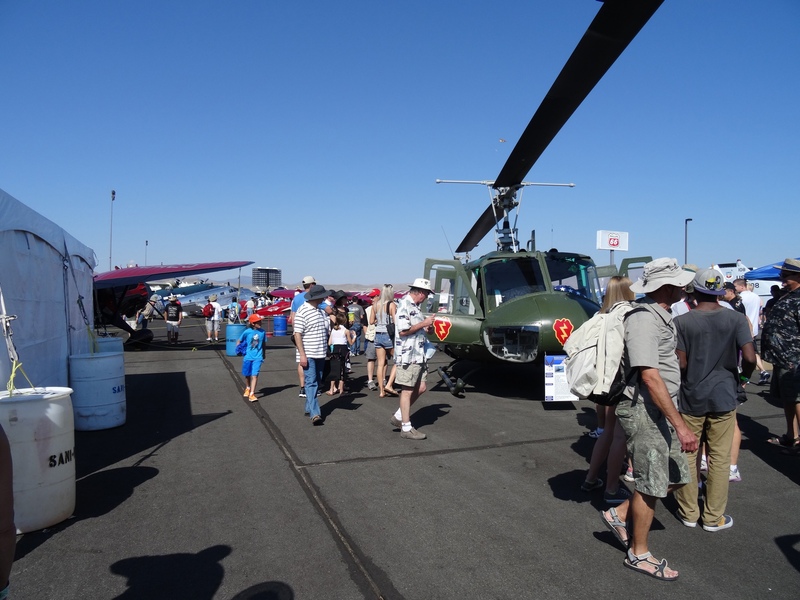 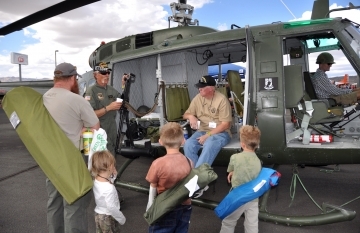 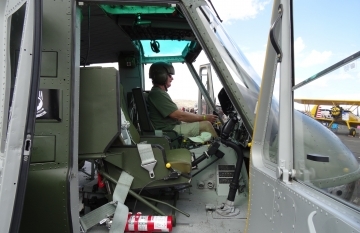 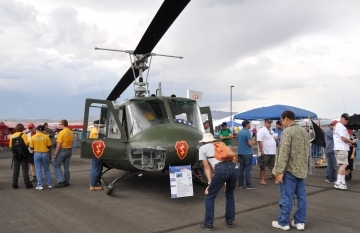 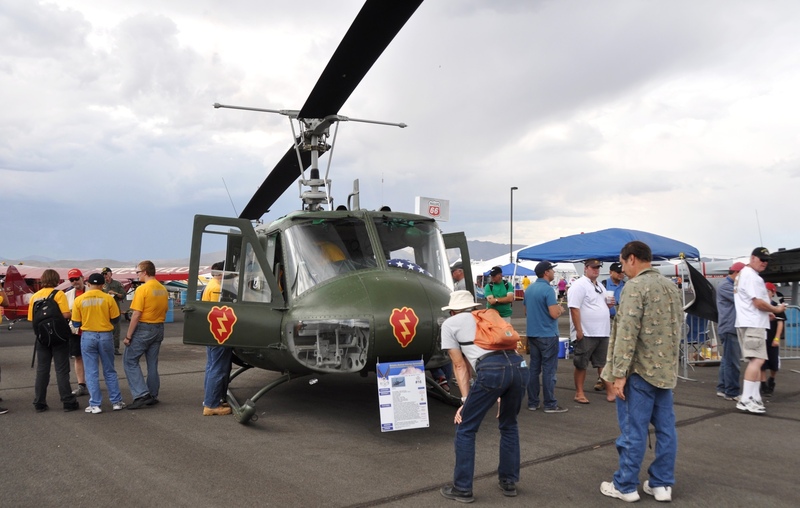 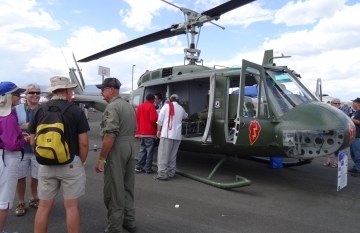 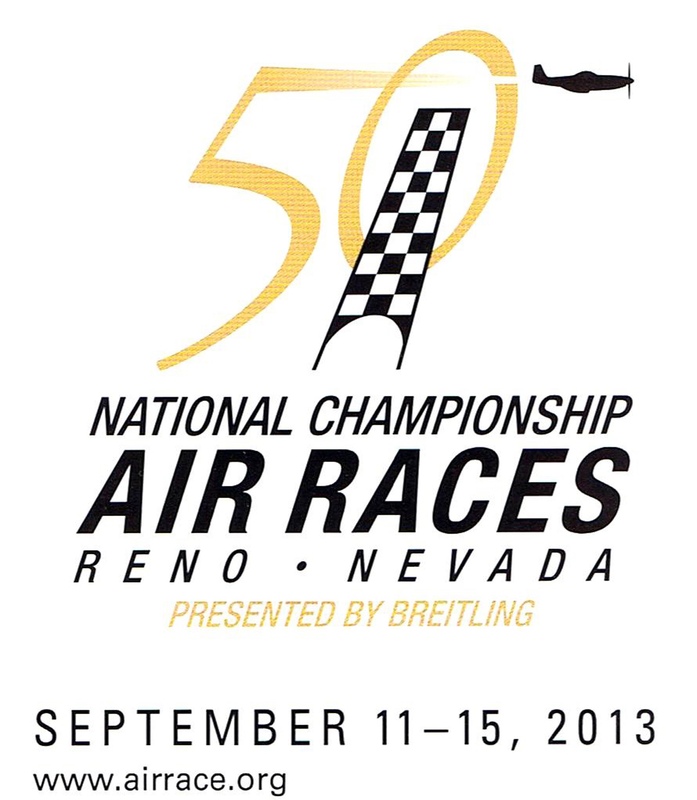 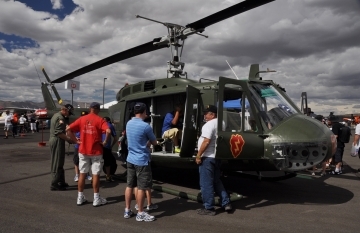 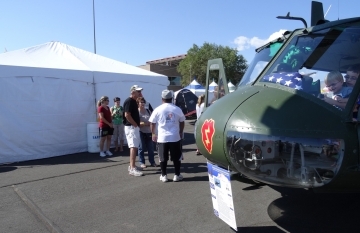 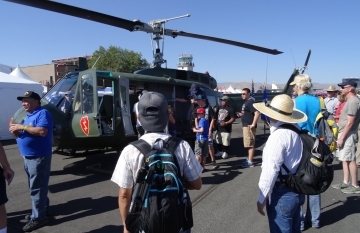 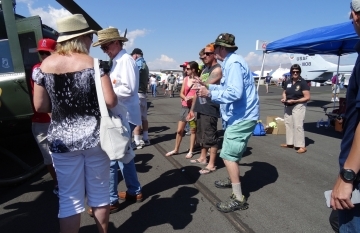 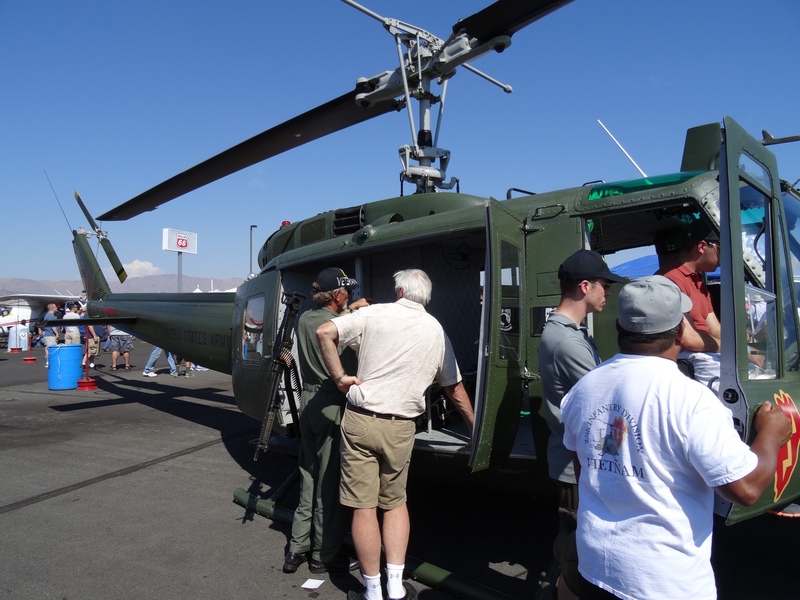 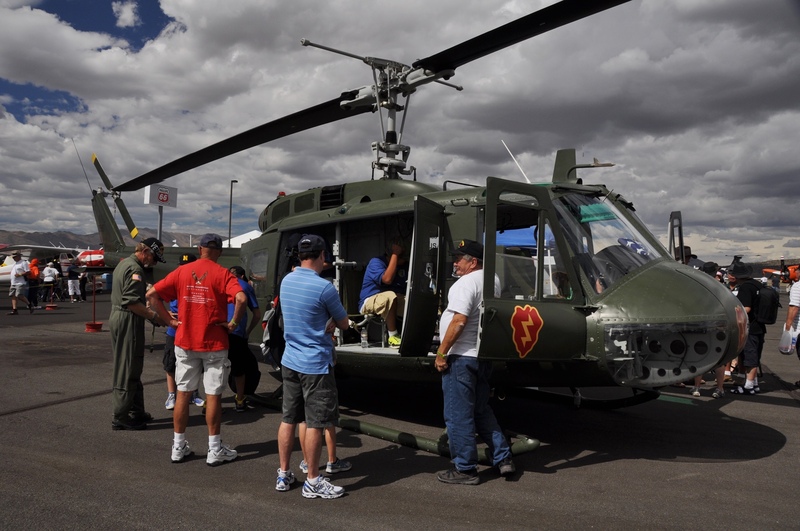 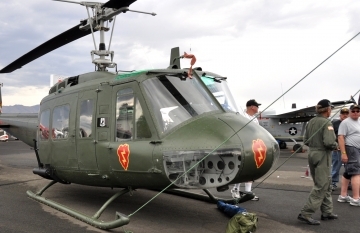 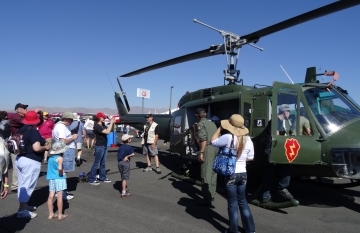 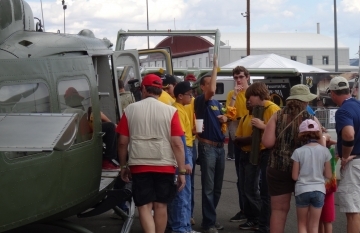 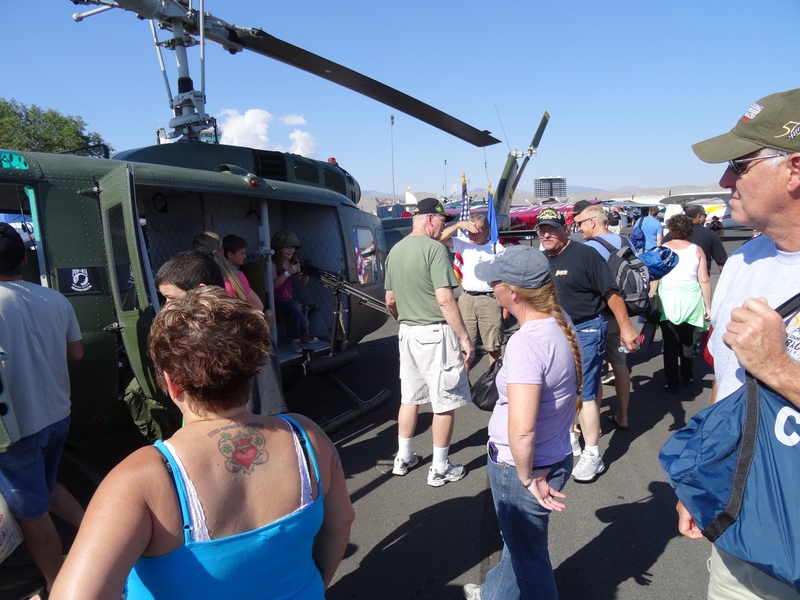 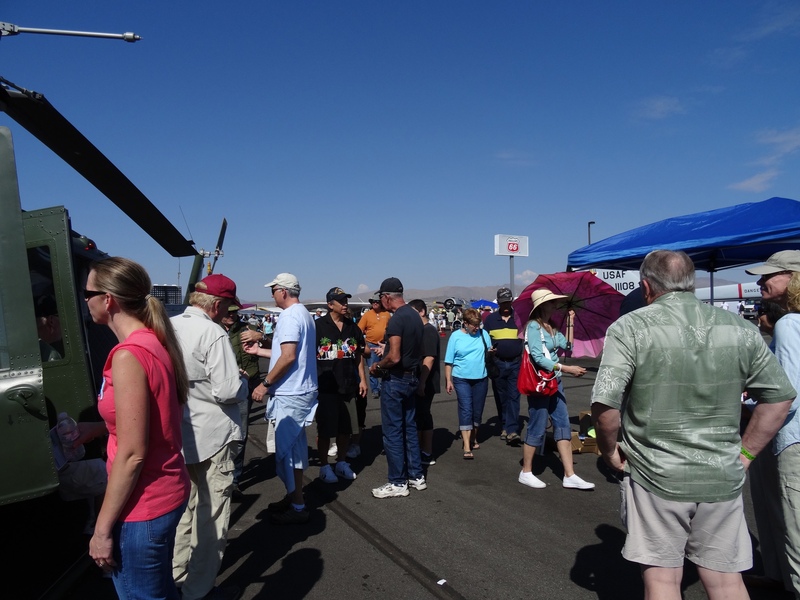 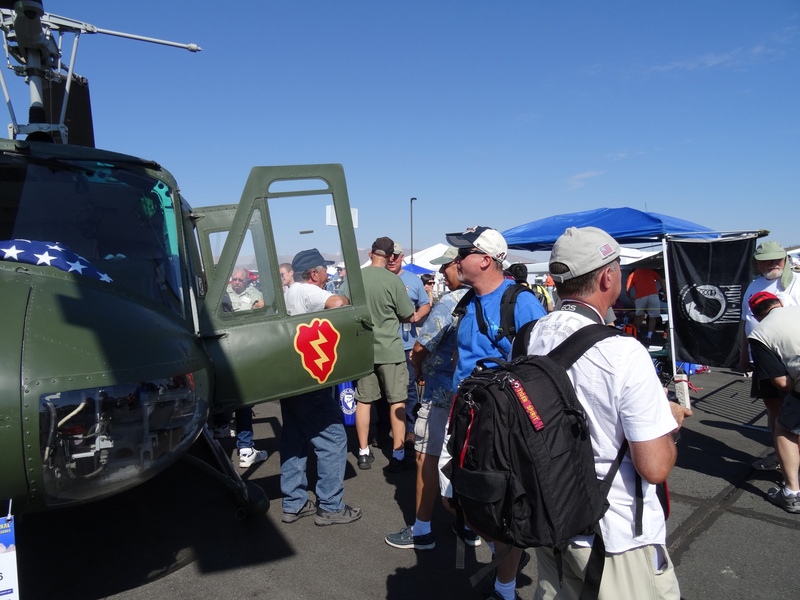 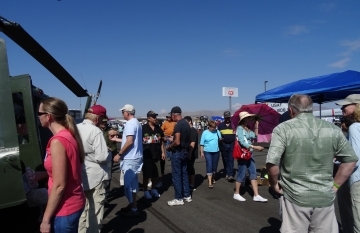 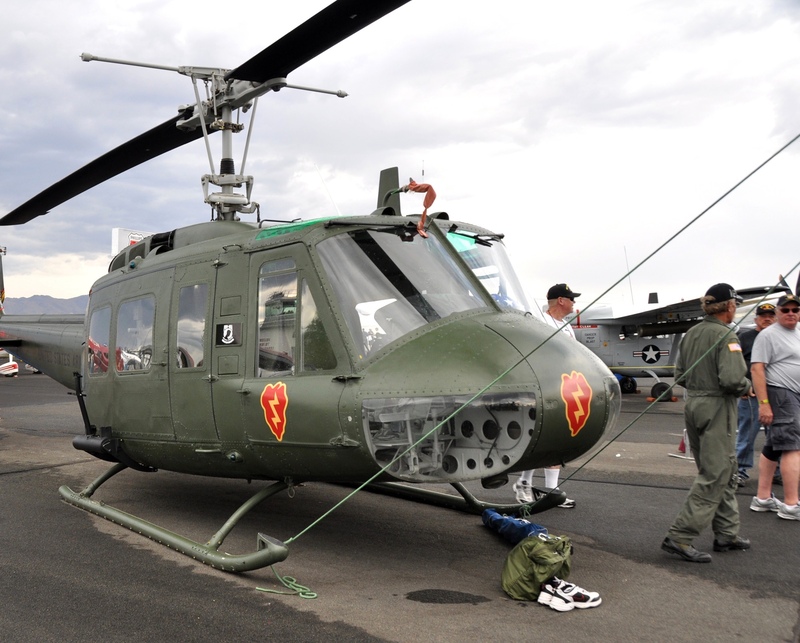 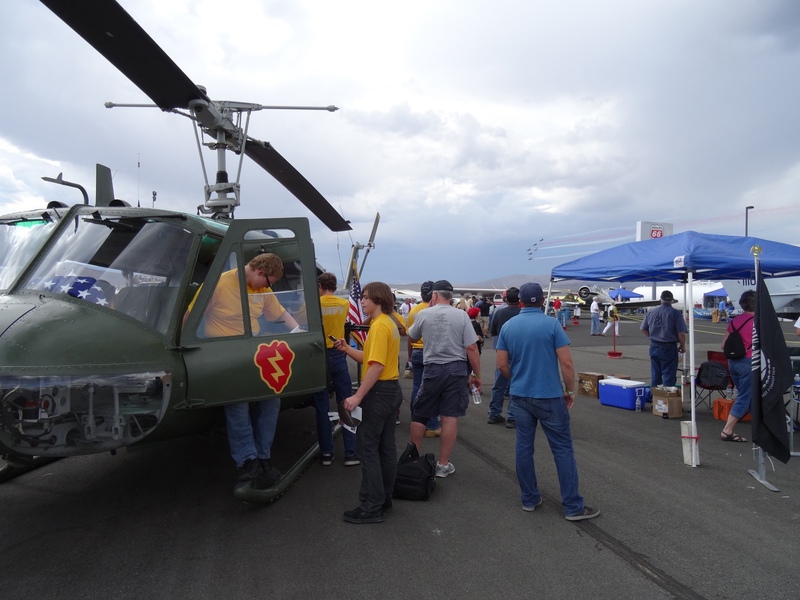 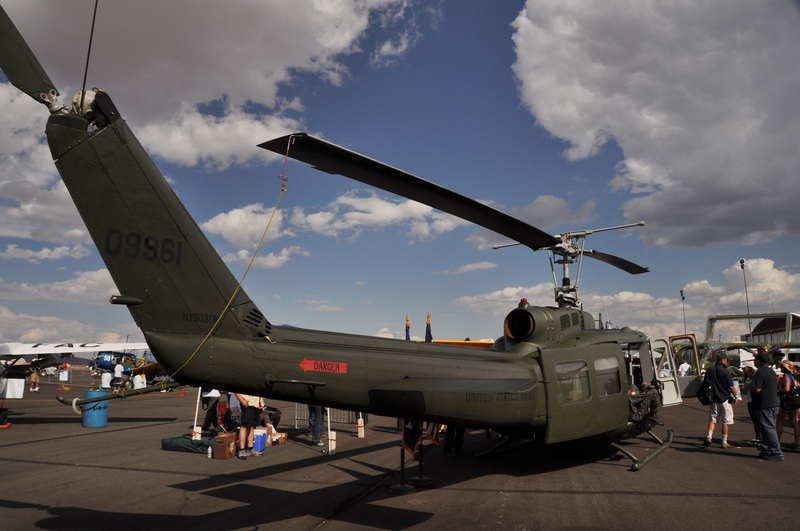 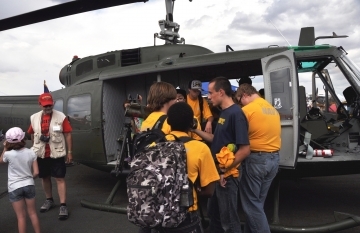 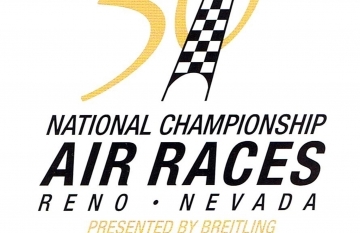 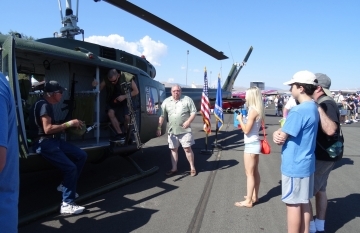 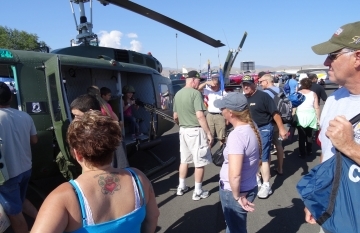 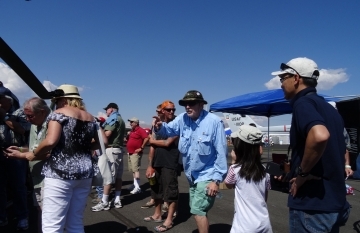 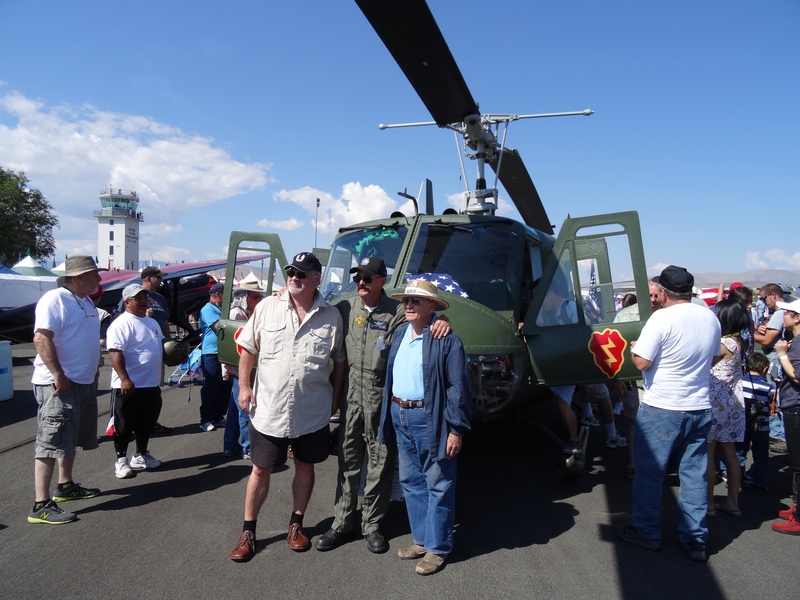 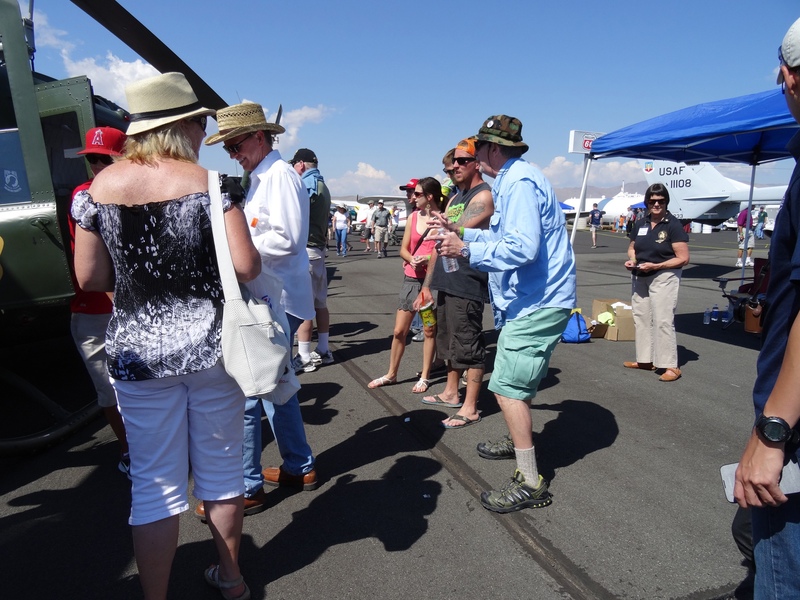 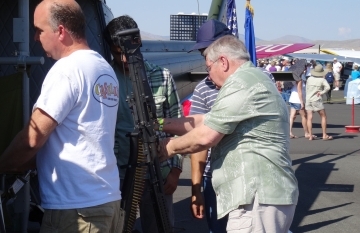 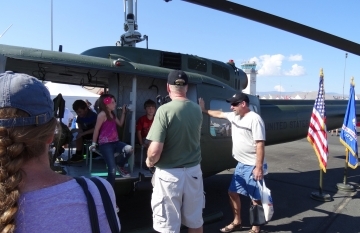 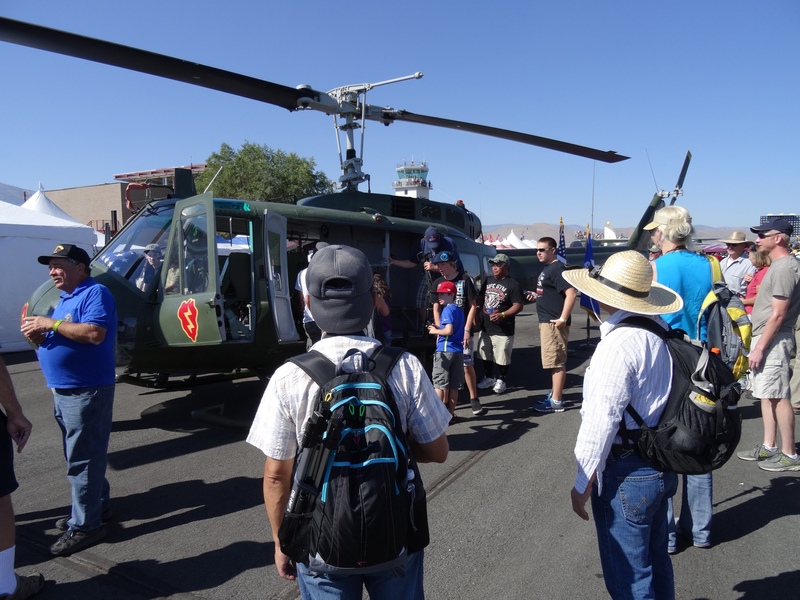 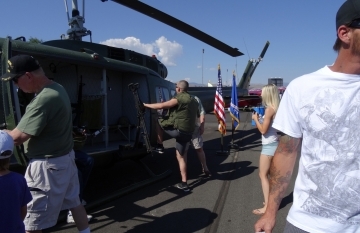 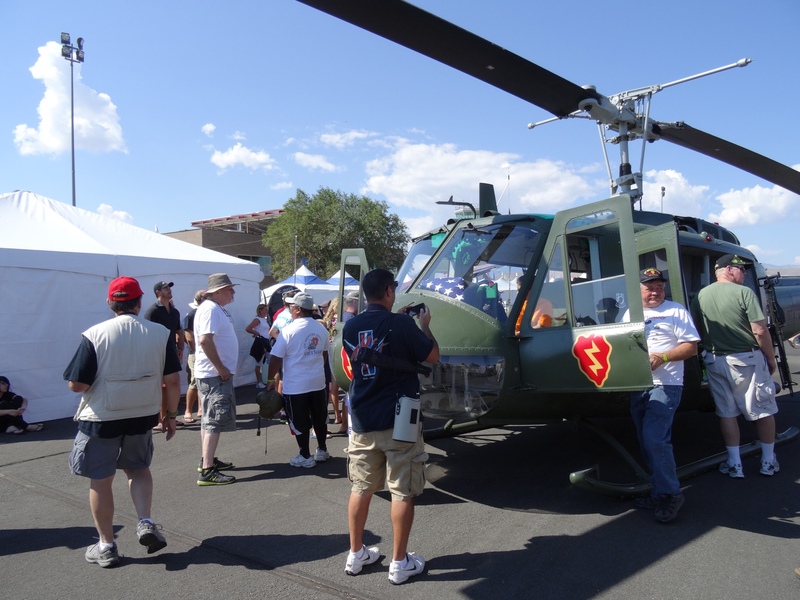 Mission: September 11-15, 2013. the 25th Infantry Division UH-1H Huey was invited once again to be on public display at the National Aviation Heritage Invitational area at the Reno Championship Air Races. 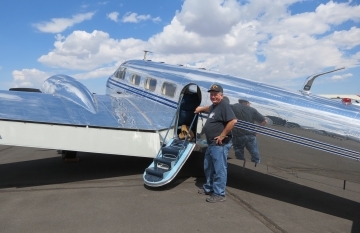 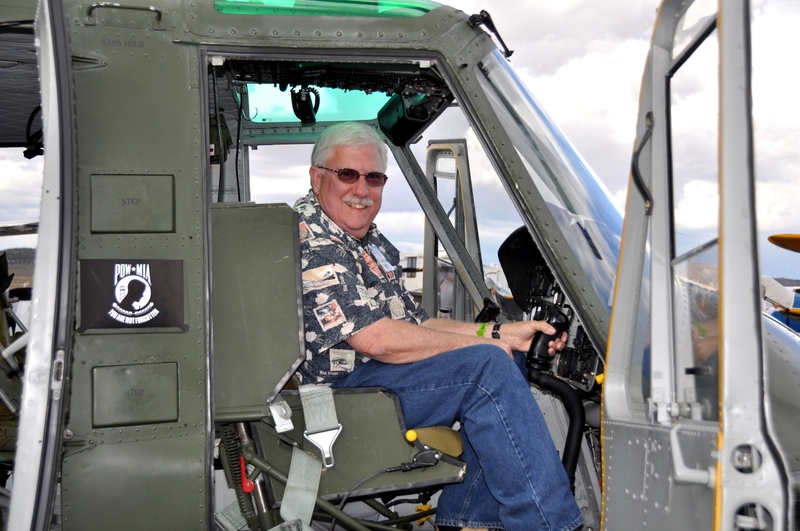 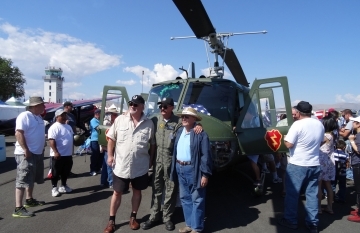 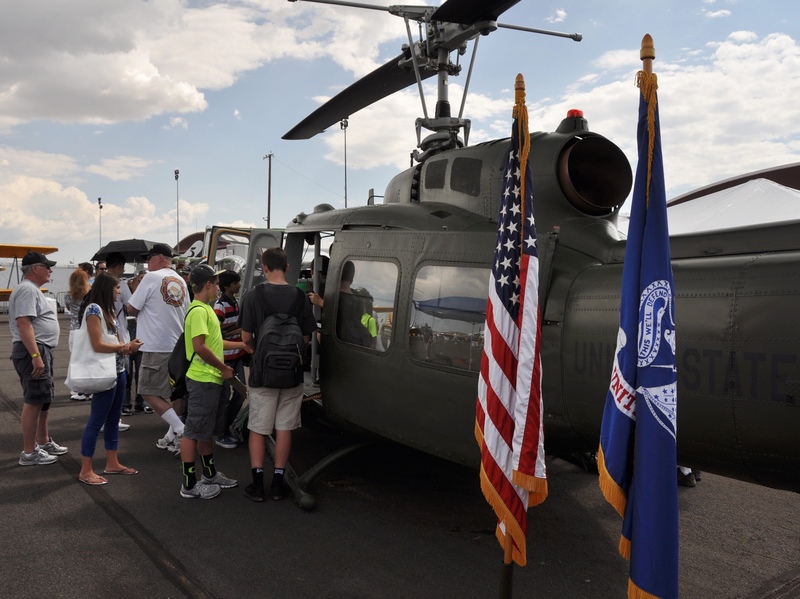 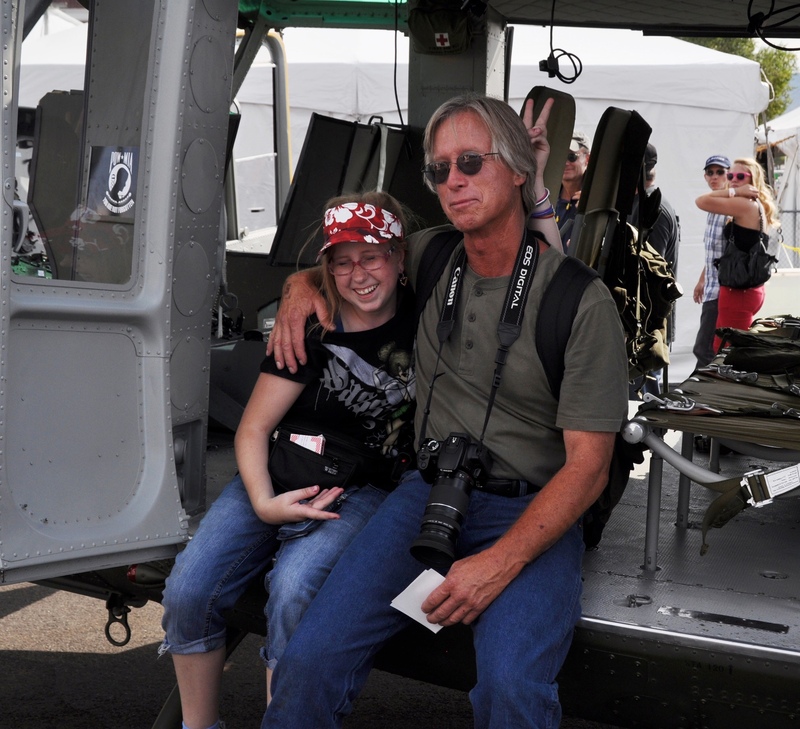 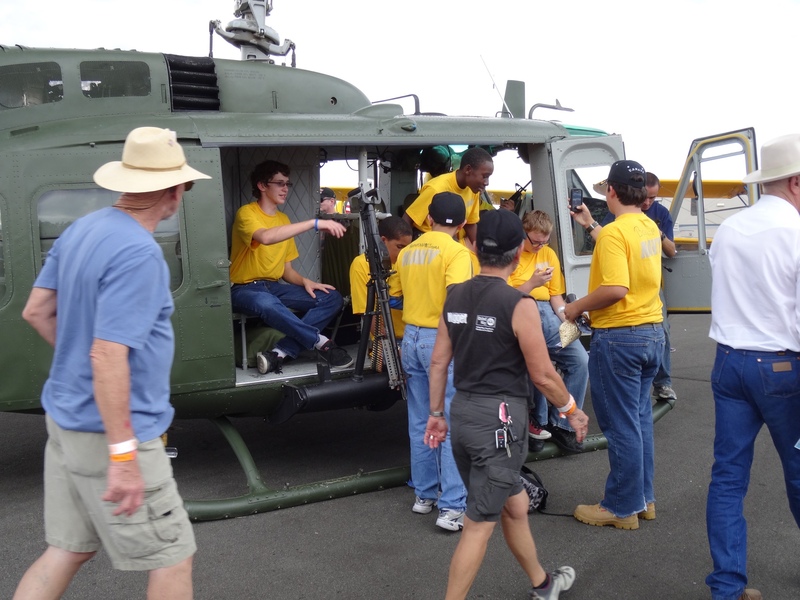 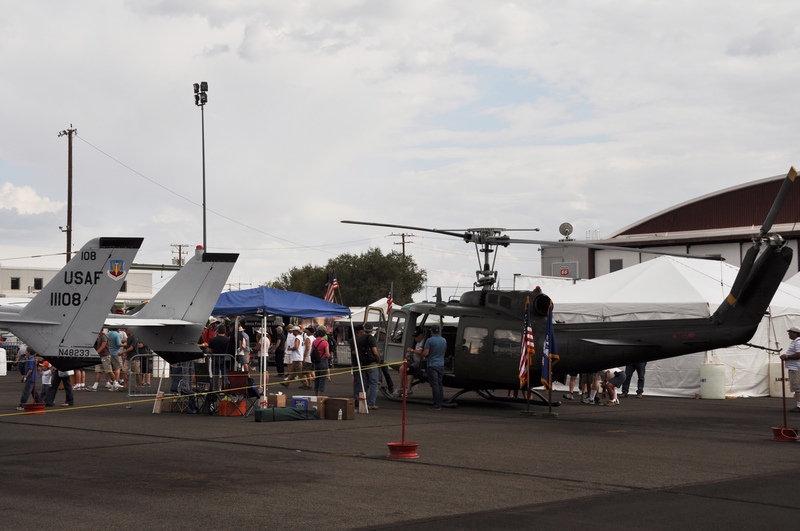 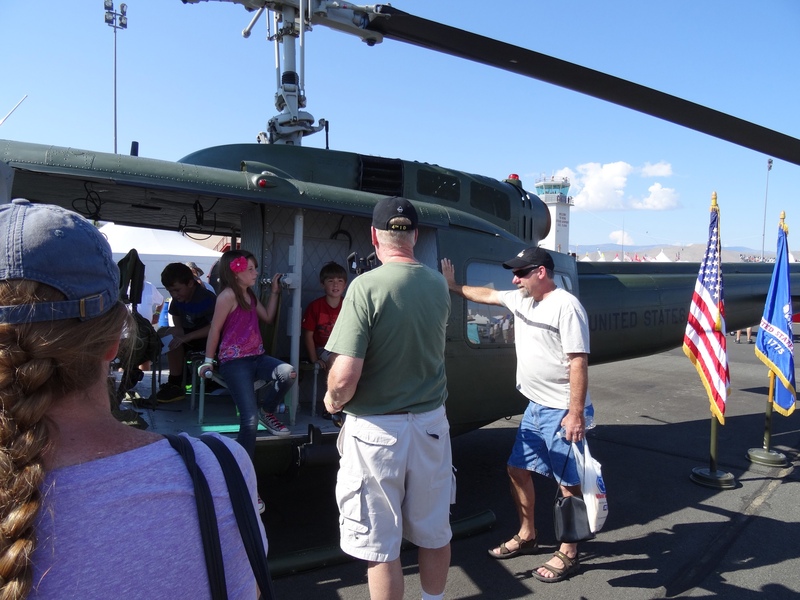 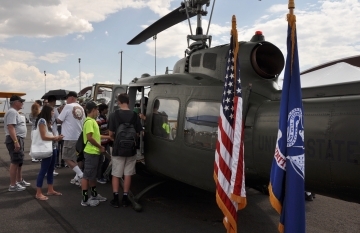 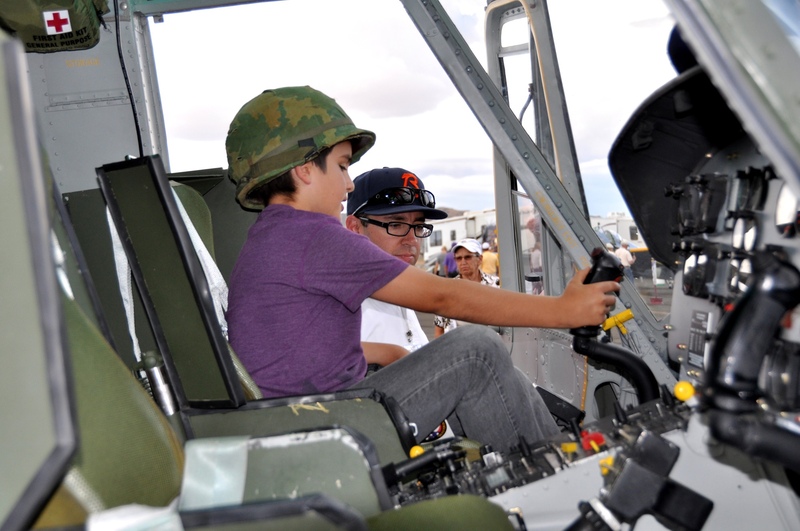 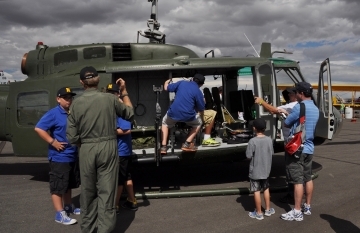 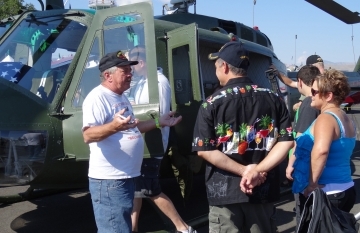 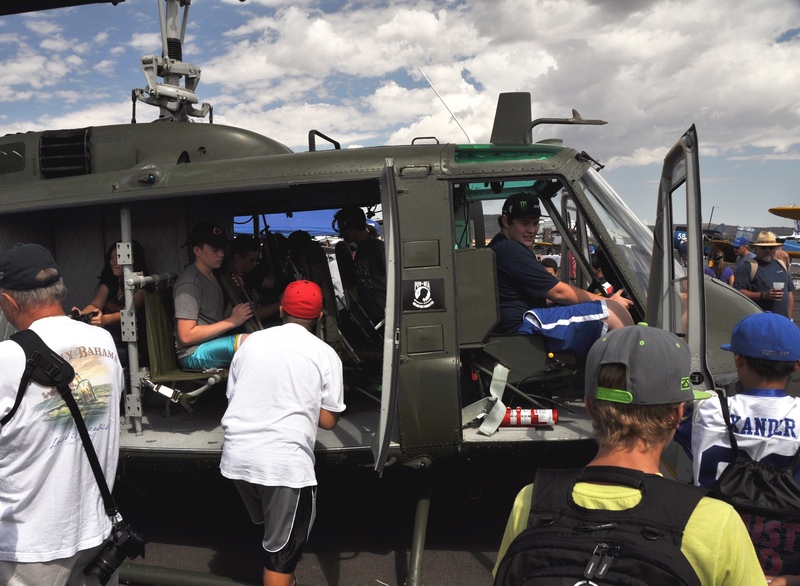 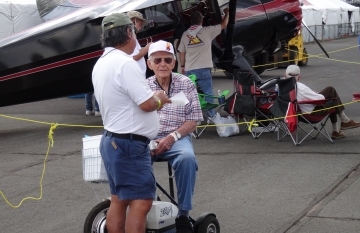 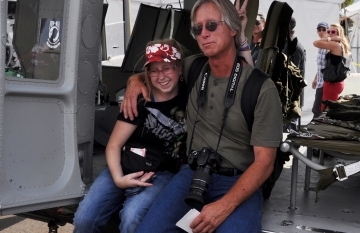 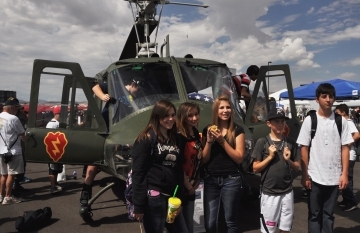 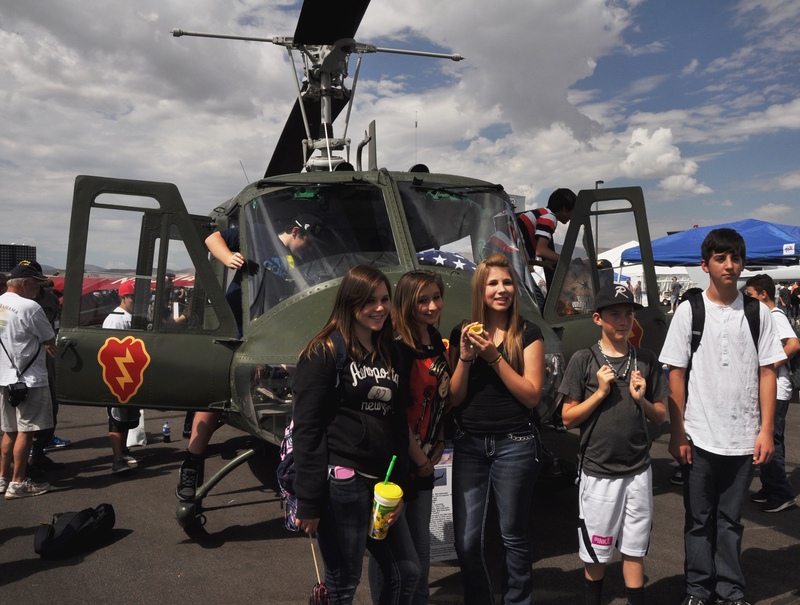 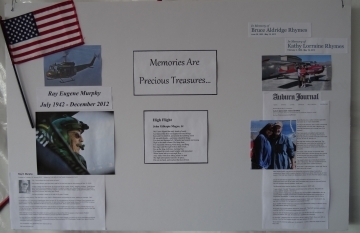 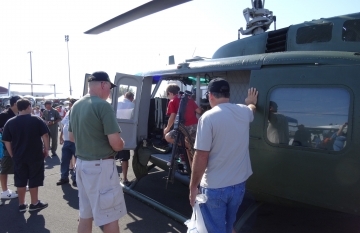 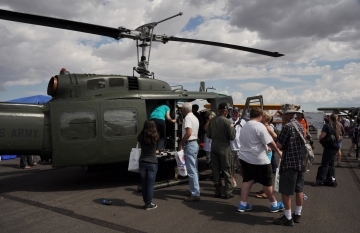 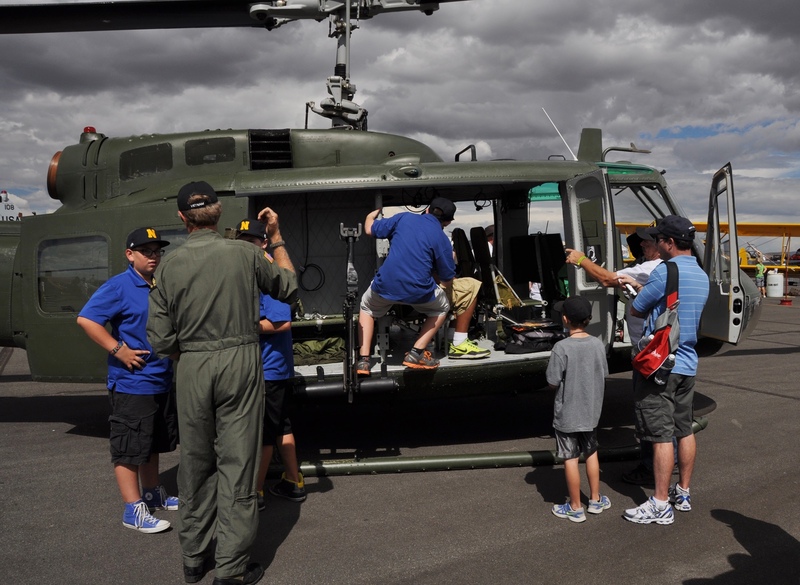 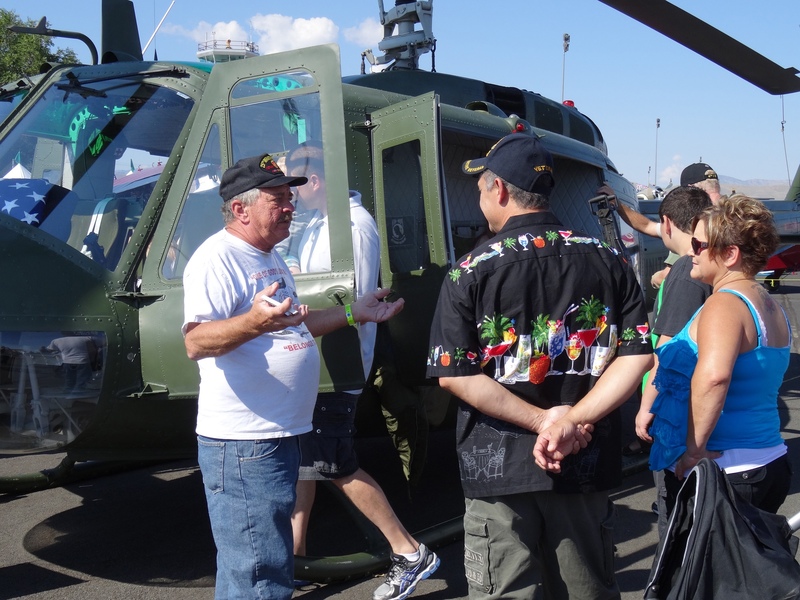 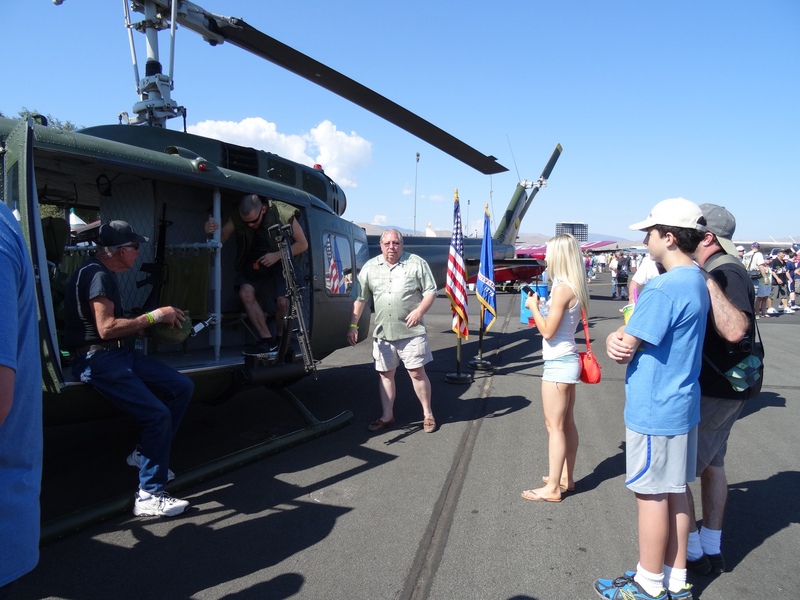 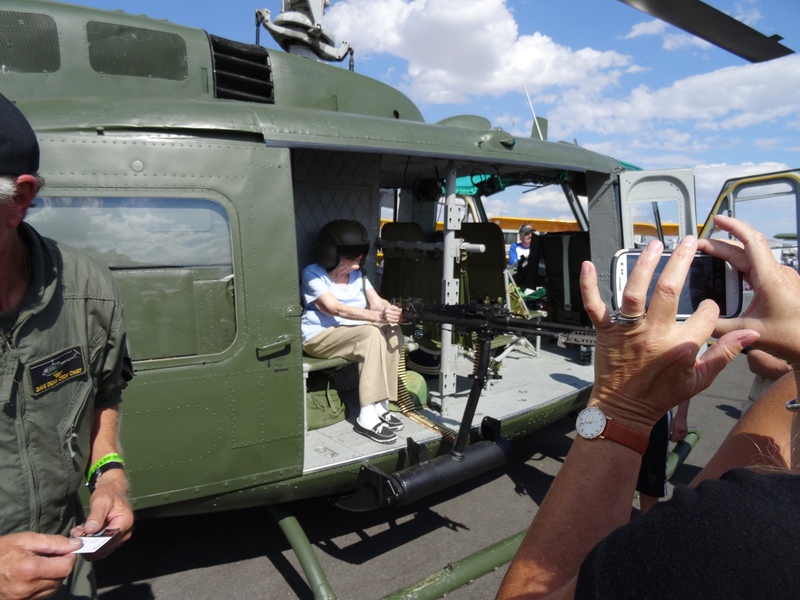 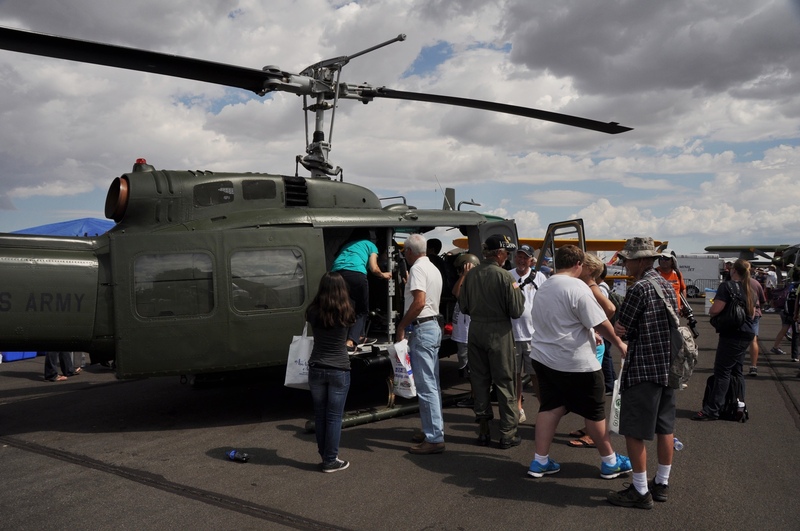 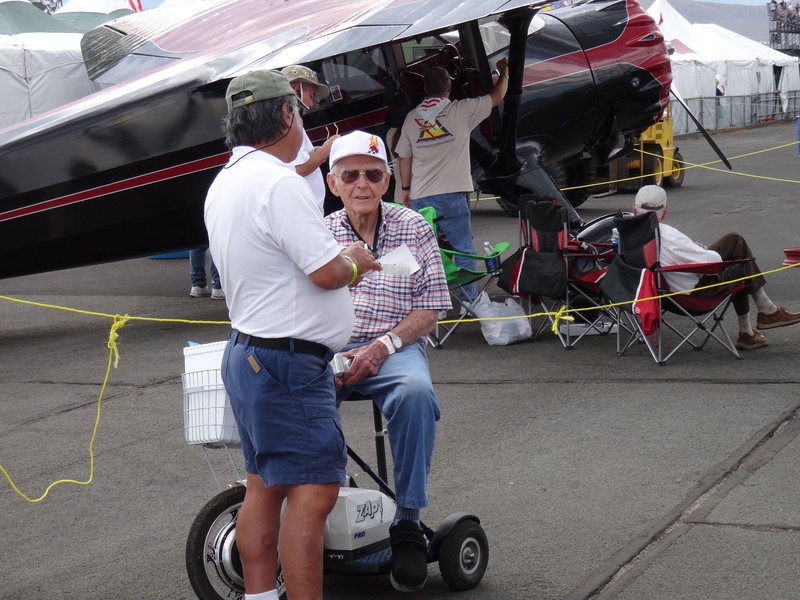 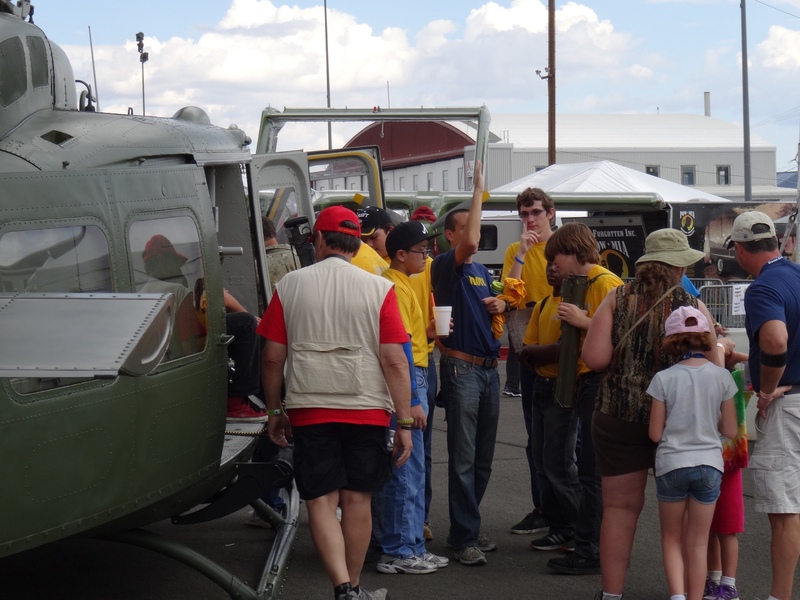 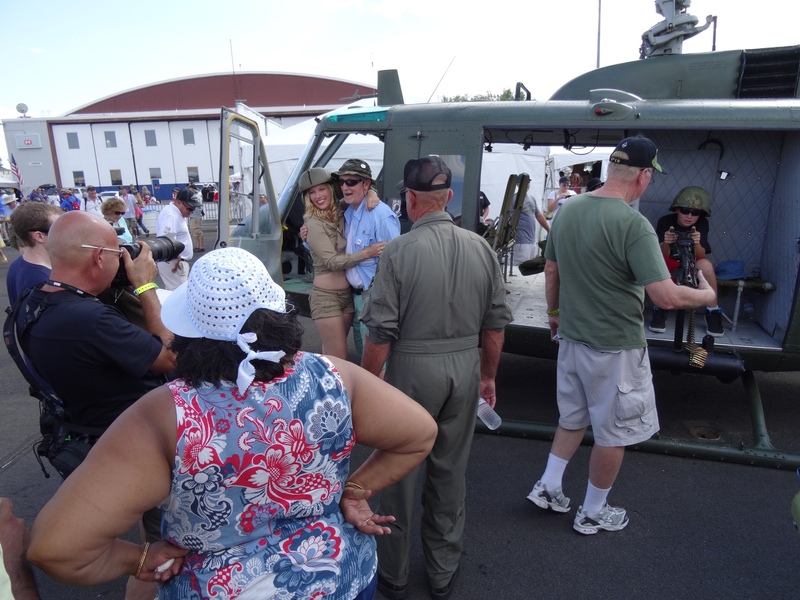 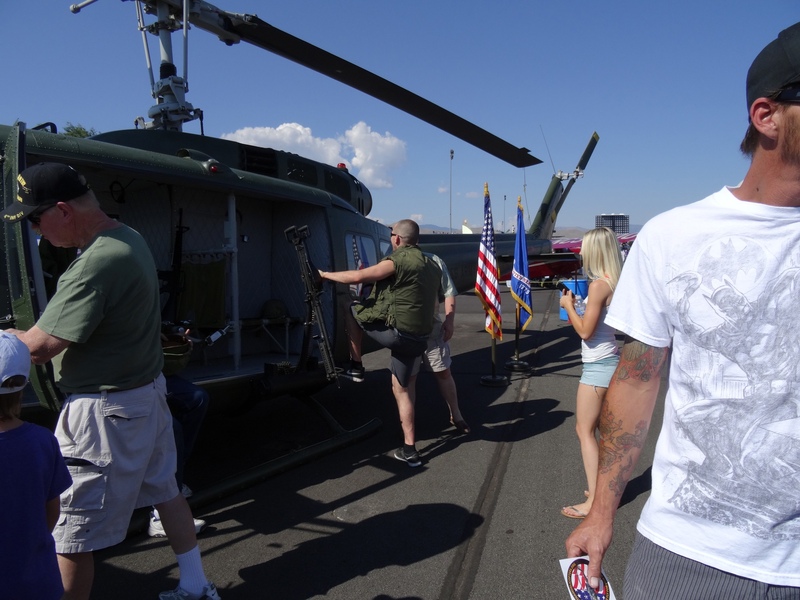 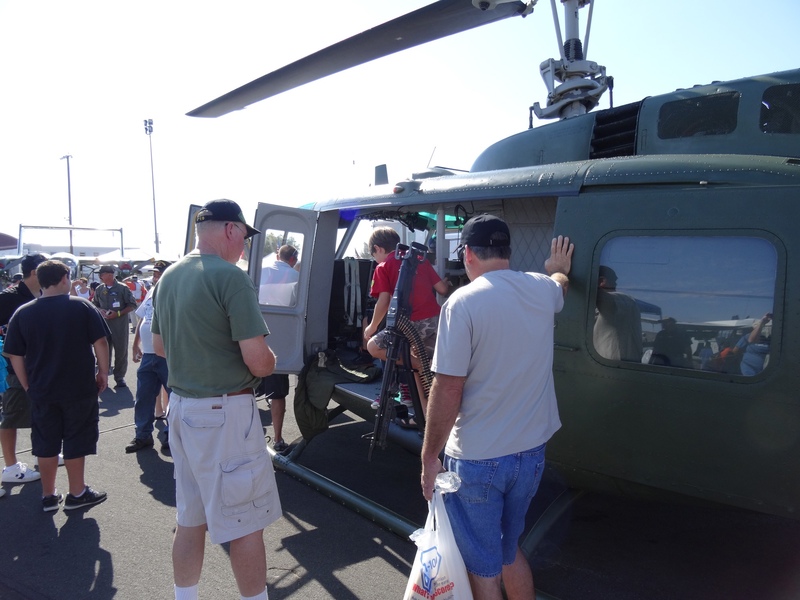 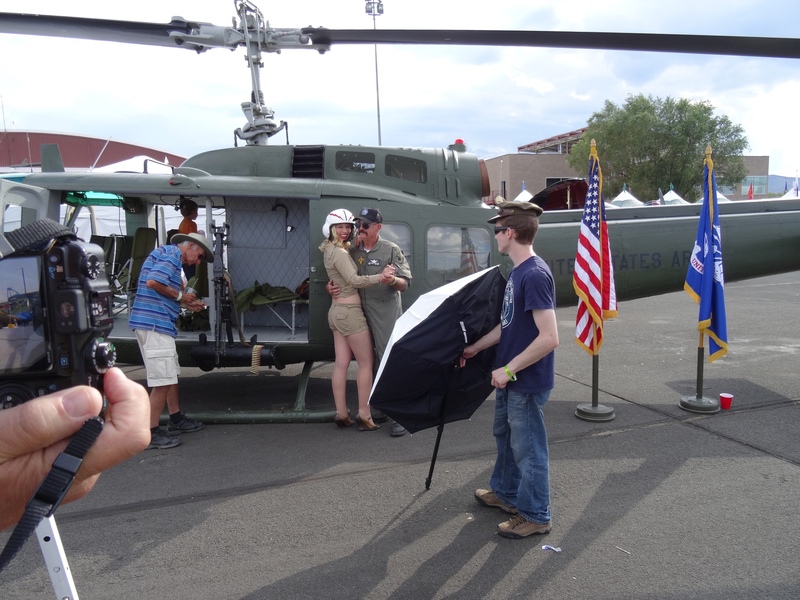 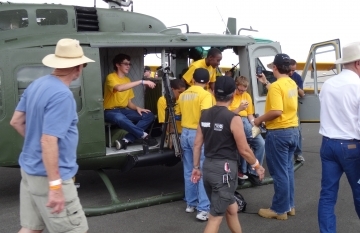 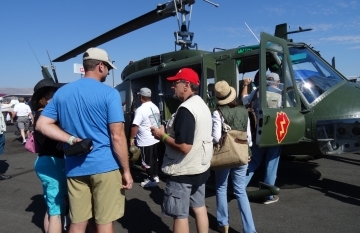 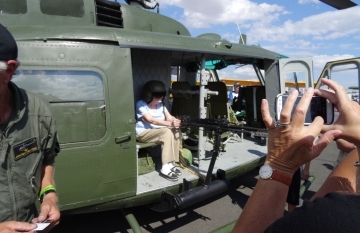 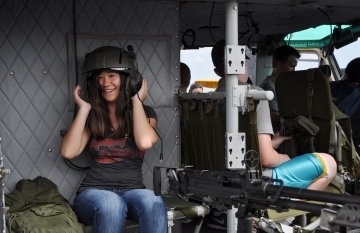 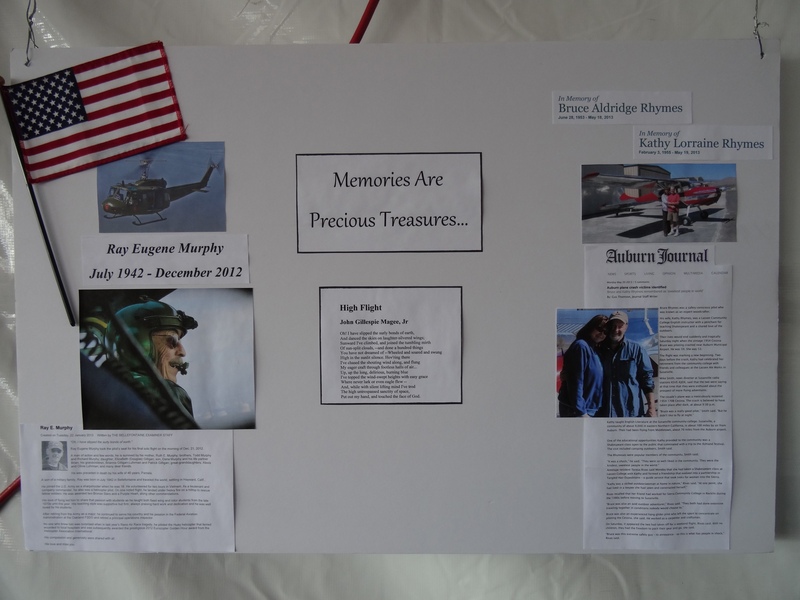 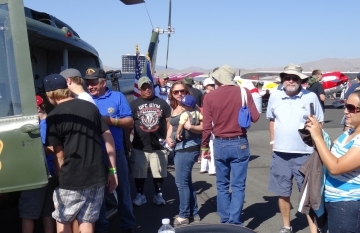 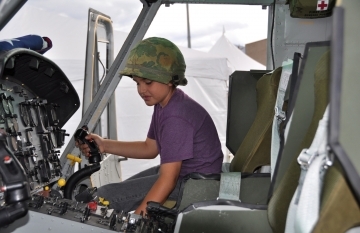 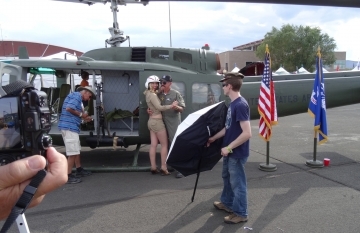 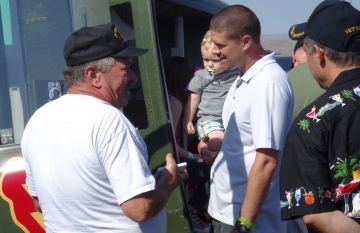 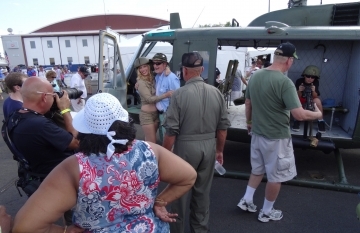 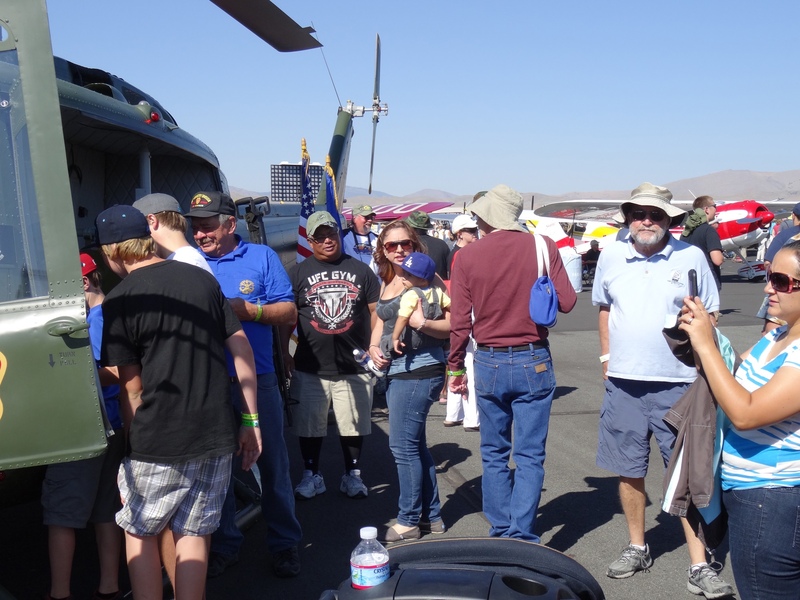 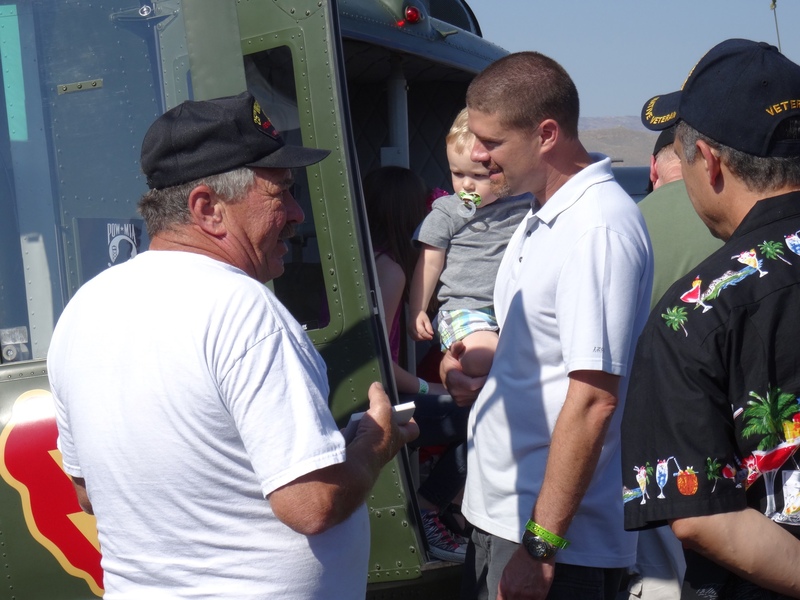 As with previous years the Huey was a big hit with Veterans and families. 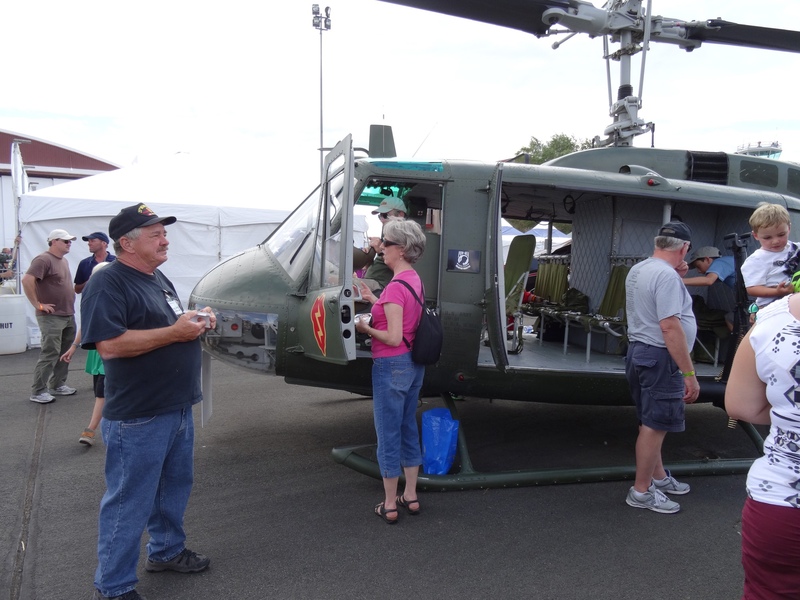 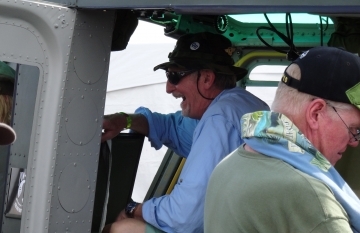 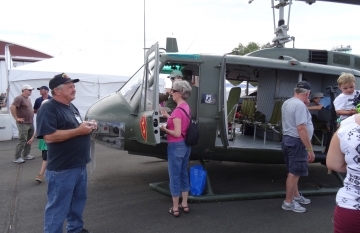 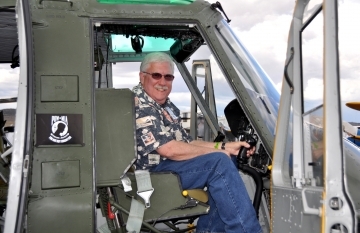 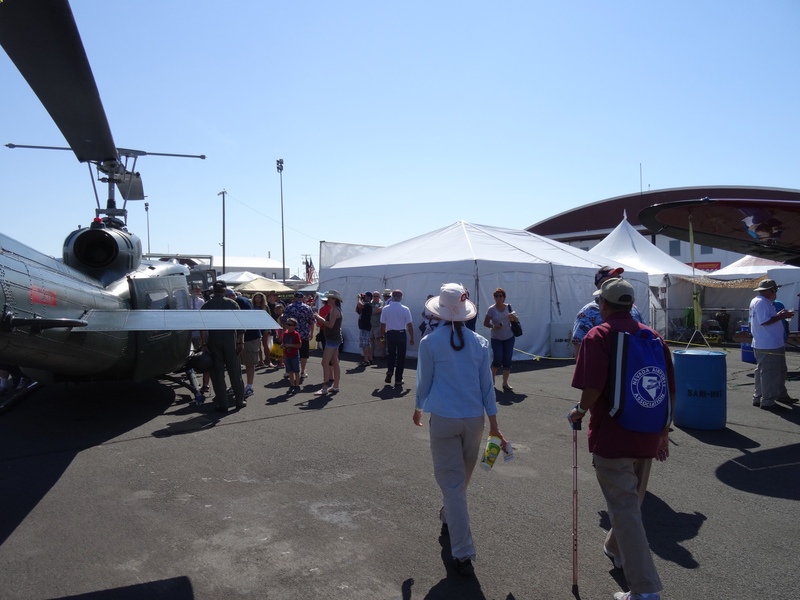 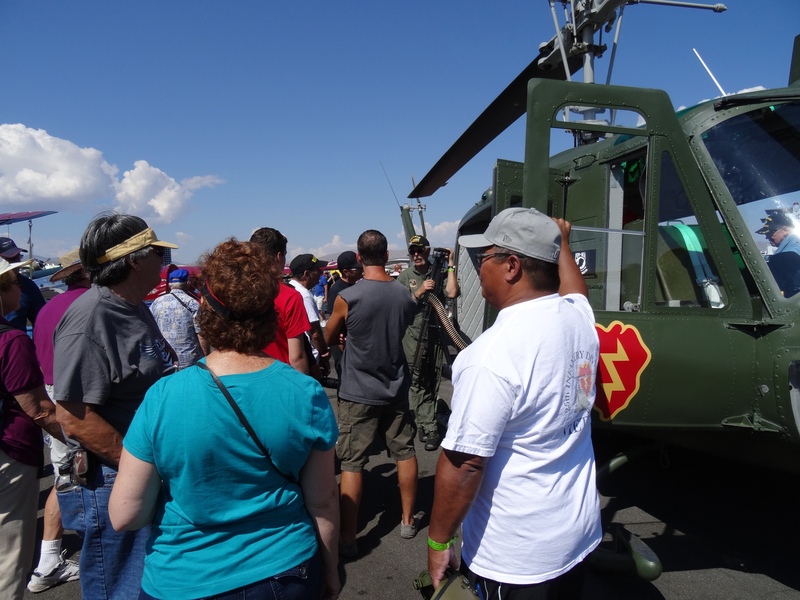 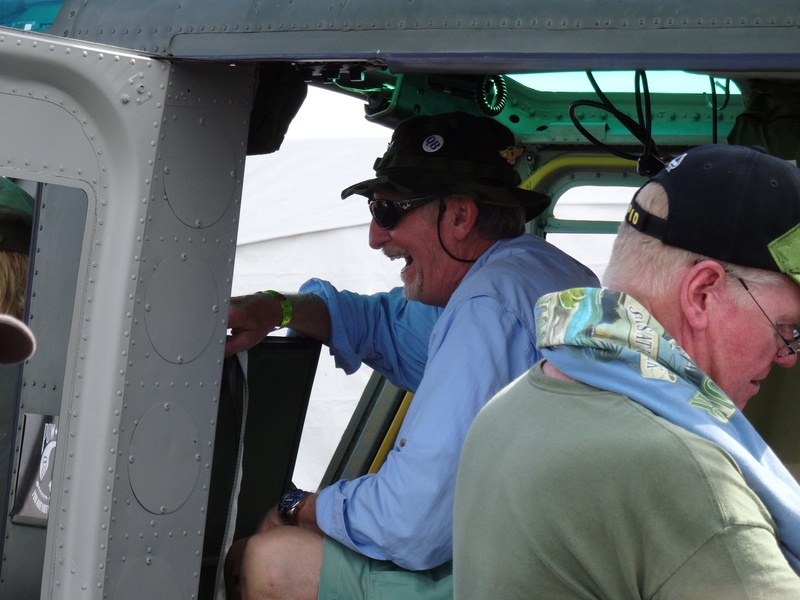 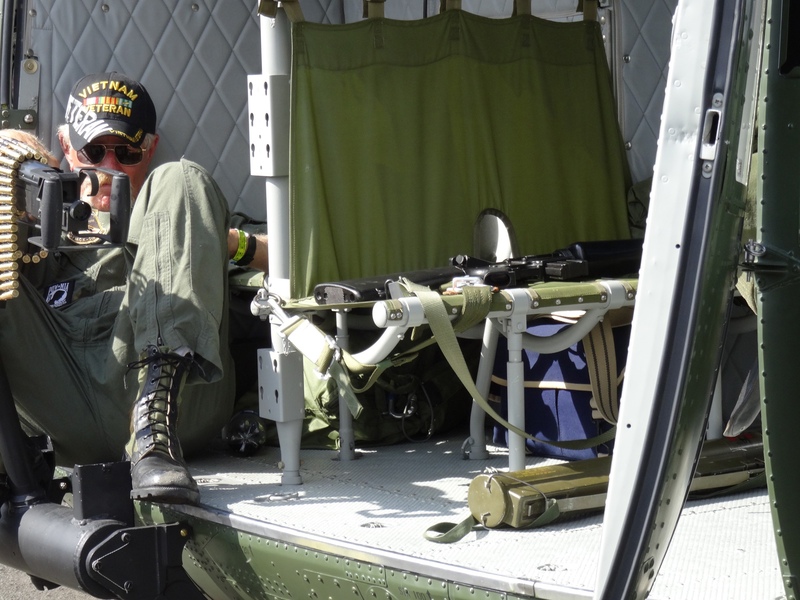 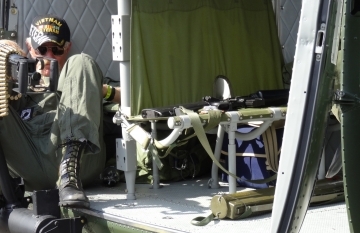 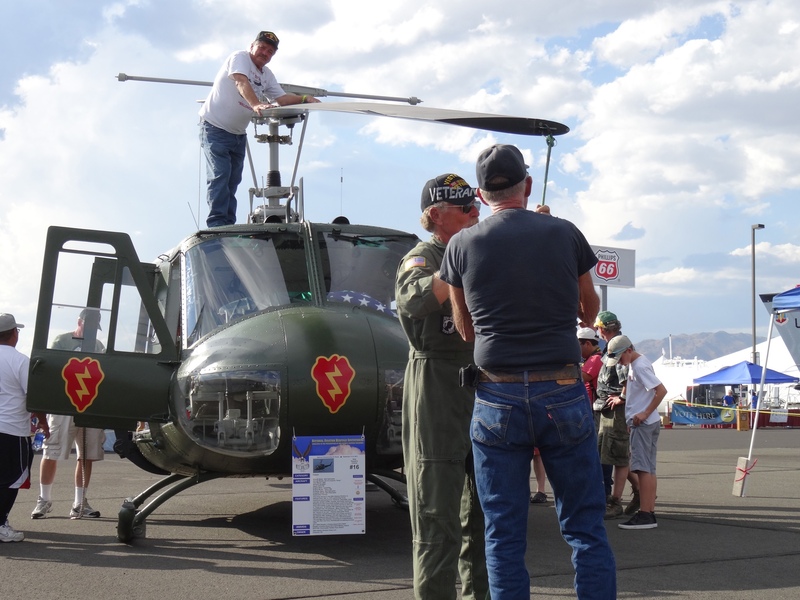 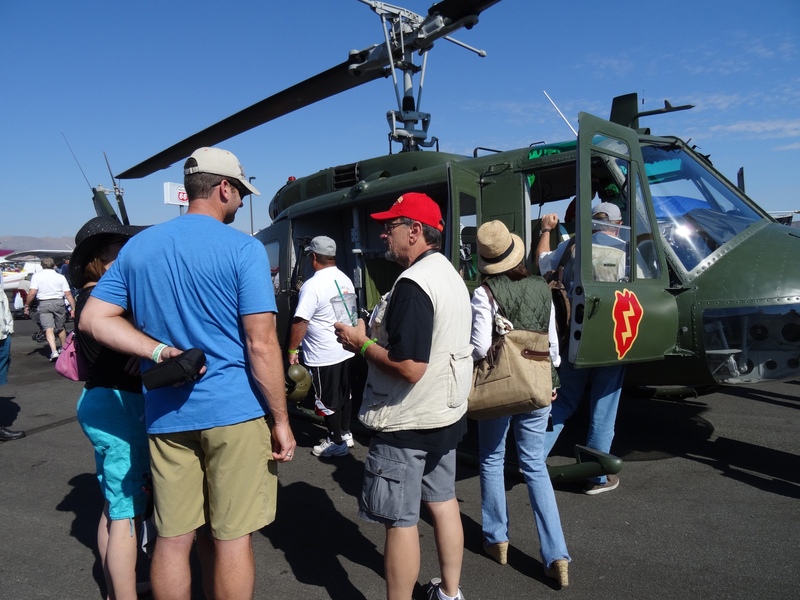 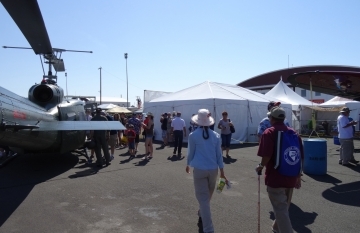 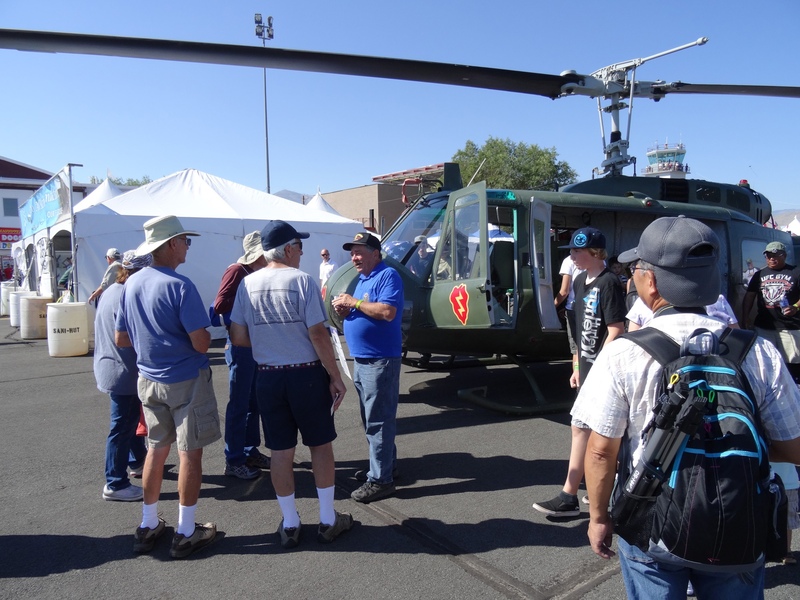 This year we had a group of 18 Vietnam Veterans manning the aircraft, answering questions, and talking with other Vietnam Veterans who stopped to see the iconic Huey.